Snuggles and chuckles with this humble fellow! 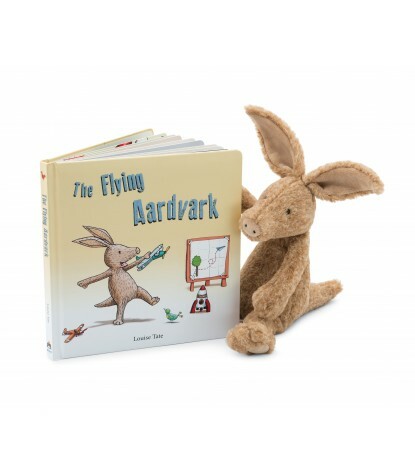 Aardvark has dreams as big as his lengthy snout and wiggly-waggle ears! This mottled guy may not look it, but he's really a big softy who's only dream is to reach the sky! 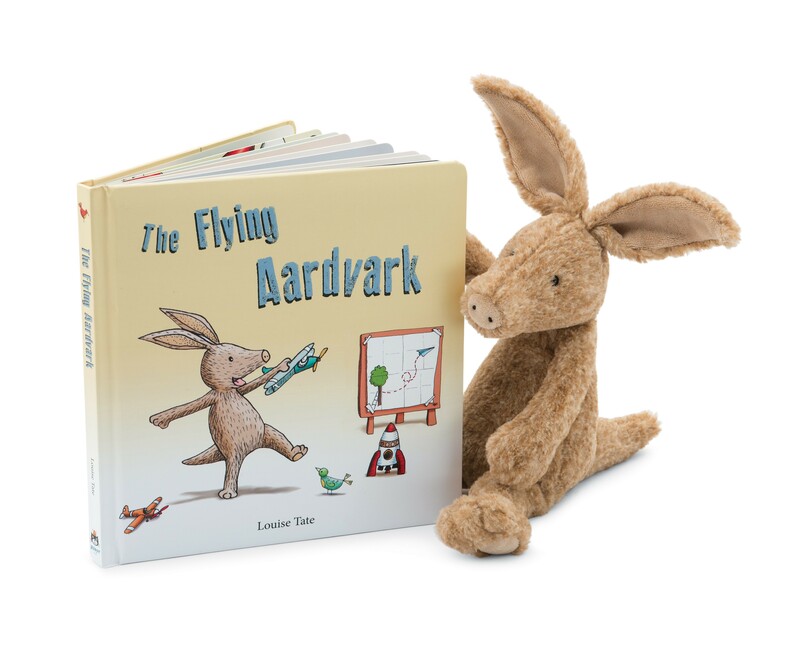 Maybe a new friend can help him soar, carrying him up, up into the air. With lots and lots of 'welcome home' cuddles afterwards, of course!